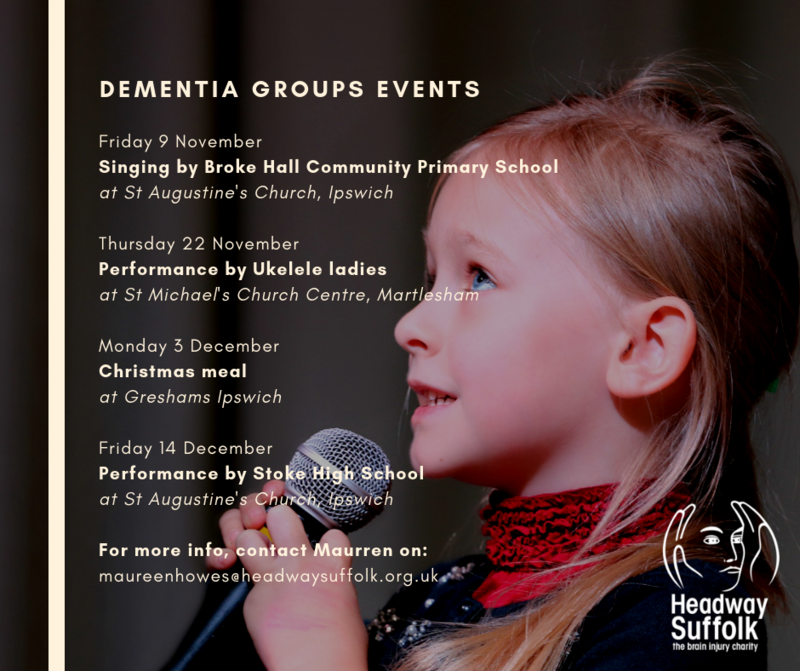 Headway Suffolk operates a satellite hub service at St Augustine’s Church in Ipswich for persons living with dementia. The hub is open at this venue on the second Friday of the month. 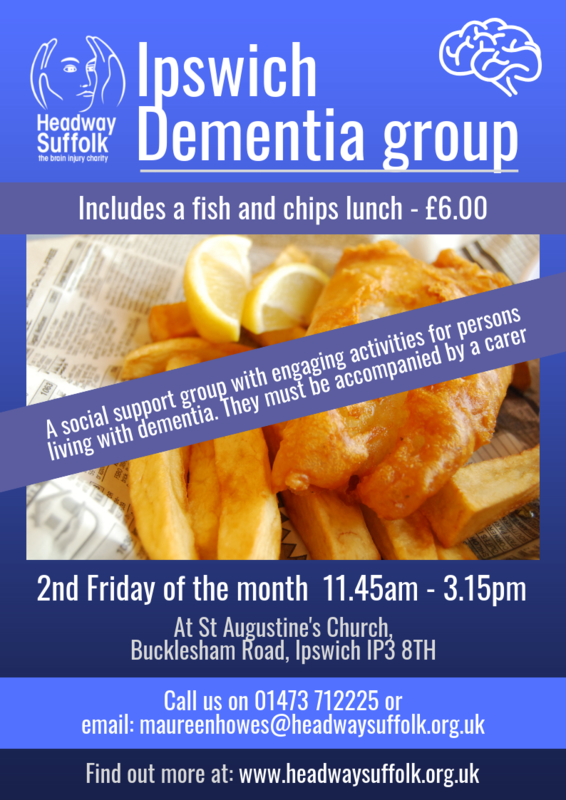 The service is a social support group with engaging activities, with a fish and chips lunch provided. 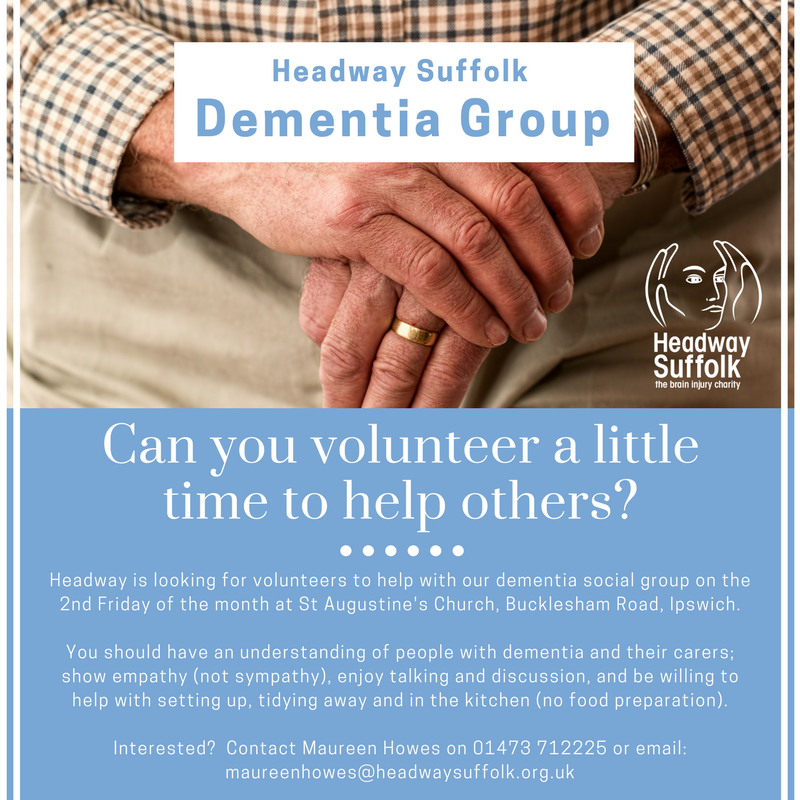 Clients will need to be supported by a carer. The cost is £6.00. 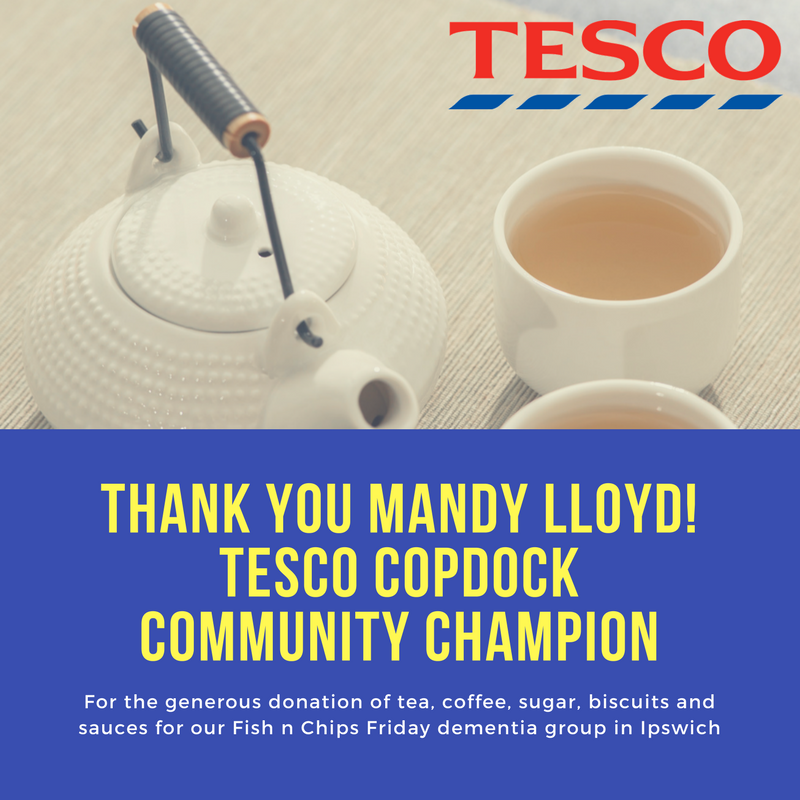 Thank you to Mandy Lloyd, Community Champion at Tesco Copdock, for the generous donation of tea, coffee, sugar, biscuits and sauces on 9 March 2018 – it’s very much appreciated!